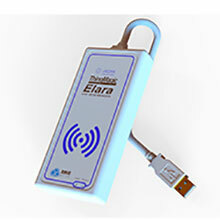 Jadak (Syracuse, NY) has unboxed its new reader for USB RFID, dubbed ThingMagic Elara. It's among the first products on the market to support the RAIN Communication Interface (RCI), and, thus, supports autonomous workflows, permitting rapid creation of solutions without expertise in RFID or Software Development Kits (SDKs). In dimensions of 2.4 in. (W) x 5.2 in. (L) x 0.8 in. (D), it reads up to 65 tags per second at maximum range of 6 ft./2 m (EPC Global Gen 2). Also recently by Jadak: the ThingMagic EL6e RAIN RFID Smart Module for OEMs. "With the introduction of both the Elara and EL6e, Jadak is demonstrating our dedication to innovation by bringing plug-and-play capability into the market for RFID," proposed Kurt Matheson, VP of Marketing for Jadak. A whopping $250 million in Series E funding, and $2.7 billion valuation, for restaurant management platform, Toast (Boston, MA). It's led by TCV and Tiger Global Management, along with participation from existing investors including Bessemer Venture Partners, Lead Edge Capital, and T. Rowe Price Associates. 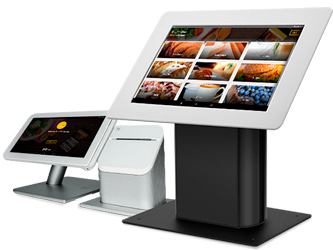 Utilizing Android O/S and the i-Series 2.0 All-in-One Touchscreen Terminals by Elo (Milpitas, CA), Toast enjoyed revenue growth of 148% in 2018. "Last year we celebrated the five-year anniversary of our first Toast customer, Barismo. Now, with tens of thousands of restaurants powered by Toast, and nearly 1,500 employees serving our community, it's impressive to see how far we've come," reflected Chris Comparato, CEO of Toast. "At our core, we believe every restaurant should benefit from the massive investment we continue to make in restaurant technology." As focus for advancement in 2019, Toast cites guest marketing, workforce management, and reporting and analysis. An entry into mobile payments by wireless carrier T-Mobile (Bellevue, WA), with help from TSYS (Columbus, GA) and Ingenico (Alpharetta, GA). Calling its offering "GoPoint," T-Mobile promises free same-day funding, no software licensing fees, and 24/7 live tech support. It also encompasses the T-Mobile for Business Marketplace (e.g., Microsoft Office 365, Intuit QuickBooks, DocuSign Business Pro, etc.). As direct competitors, not surprisingly, T-Mobile identifies Square and Clover. In order to accept payments with GoPoint, businesses require compatibility with smartphone or tablet and service via T-Mobile ONE. 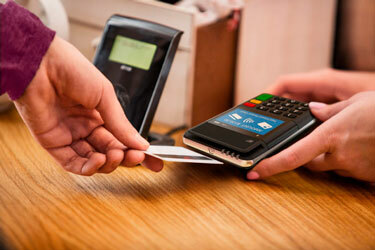 A choice of card readers is provided by Ingenico--Moby/3000 or Moby/8500--with capabilities of Bluetooth, MSV, and EMV. (At more investment, Moby/8500 adds color display and NFC.) As its partner in software development, secure transaction management, and same-day funding, T-Mobile called upon TSYS. As fees for credit and debit processing, businesses pay 2.75% with GoPoint. A single account holds up to 99 employees, noted T-Mobile for Business. "T-Mobile is on a mission to eliminate pain points for consumers and businesses alike. When we looked at the insidious practices and never-ending fees mobile point-of-sale providers charge small businesses, we knew the 'Un-Carrier' needed to step in," declared Mike Katz, EVP of T-Mobile for Business. "Not surprisingly, paying fees on top of fees and waiting days for their hard-earned money is a big pain point, particularly for small businesses. That's why the 'Un-Carrier' is doing payments differently." Bixolon America (Gardena, CA) has presented its new 3" thermal receipt printer with 300-dpi resolution, designated Model SRP-383. In dimensions of 5.8 in. (W) x 7.9 in. (L) x 5.8 in. 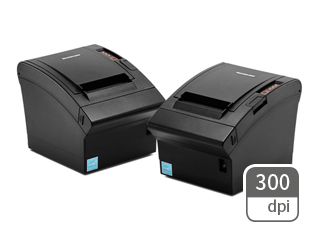 (D), and weighing 3.4 lbs., the SRP-383 has maximum print speed of 7.9 in./200 mm per second at 300 dpi--suitable for double-byte fonts and precise barcodes, according to Bixolon America. As connectivity, it carries standard USB 2.0, with combinations of Serial, Dual Serial, Powered USB, Ethernet, Bluetooth 4 BLE, and 802.11 Wi-Fi. Also, Apple MFi Certification. As enhanced functionality, the SRP-383 includes "Auto Receipt Resize" technology for paper saving (i.e., from 4 inches to 3 inches or from 3 inches to 2 inches). Also, its new utility, "TTF Font Downloader," facilitates storage of True Fonts in the thermal printer. In addition, "Anywhere Anyfont" (Unicode) eliminates the need to write multiple code pages for every language. An overall paper saving of up to 53% is cited by Bixolon America. "Our new SRP-383 offers the lowest cost of ownership with the additional benefits of low maintenance and easily switchable paper-saving features," summarized John Kim, Marketing Director at Bixolon Co. Ltd. (South Korea). "[Also], it provides the highest readability of sophisticated fonts." 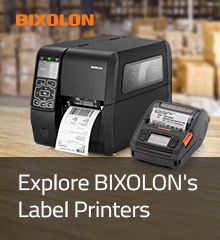 A leader in receipt printing, and the channel of VARs and ISVs, Bixolon America has elevated its efforts in labeling for 2019. In February, it debuted its 3" mobile thermal label printer, stocked as Model SPP-L310, with maximum print speed of 5 in./127 mm per second at 203 dpi and weight of 1.1 lbs. MobileDemand (Hiawatha, IA) has unwrapped its new rugged handheld computer, entitled xTablet A680. Weighing 0.84 lbs. (in base configuration), and measuring 7.3 in. (L) x 3.7 in. (W) x 0.8 in. (D), xTablet A680 carries 6" capacitive touchscreen (720x1280). It runs MediaTek MT8735b Quad-Core CPU at 1.1 GHz, 2-GB RAM, 16-GB Storage, and Android 8.1 O/S. It also has Google Mobile Services (GMS). 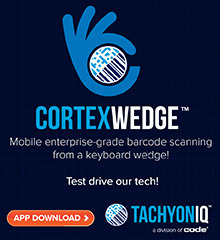 "Our customers have been asking for this high-quality, high-performance handheld with Android. They recognize the customer service delivered with our devices, which includes personalizing tablets with the necessary accessories for each use case so that our customers can simply plug-and-play when the devices are delivered," commented John Chis, VP of Sales and Marketing at MobileDemand, adding. "We are thrilled about our first entry in the rugged handheld space." As data collection, xTablet A680 offers an integrated 2D scanner (Honeywell 3680), and front- and rear-facing cameras (2- and 8-megapixels, respectively). As communications, there's Bluetooth 4 BLE, 802.11 Wi-Fi, and GPS. 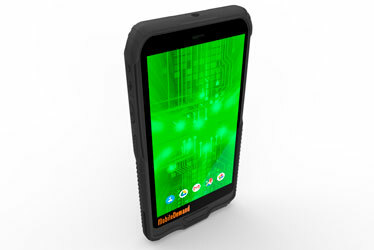 In ruggedness, xTablet A680 has an IP-65 rating for water and dust, MIL-STD-810G Certification, 4-ft./1.2-m drop resistance, and operating temperature range of +14 to +122 Degrees F. A starting MSRP of $995 has been published by MobileDemand (who sells through VARs and ISVs). A new relationship with processor First American Payment Systems (Fort Worth, TX) brings ISV Idealpos (Brisbane, Queensland, Australia) to the U.S. A longtime player in Australia, New Zealand, and Canada, with 7,000 customers, Idealpos runs Windows O/S. It addresses both retail and hospitality, with full functionality, including inventory tracking, tableside ordering, certification with EMV, and delivery via SaaS (Software-as-a-Service). It sells through VARs. 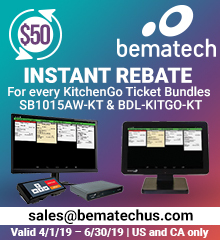 "Emphasis at Idealpos is on software that makes the business owner's life easier, period," expounded Bill Lodes, EVP of Business Development and Strategy at First American Payment Systems. "For food and beverage business owners and operators, as well as those in retail, that often includes looking to simplify the number of systems and processes it takes for them to run an orderly business. 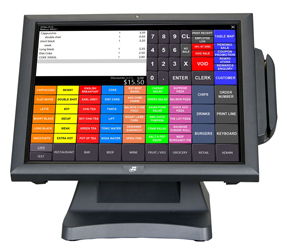 Idealpos--integrated with payments capability from First American--makes that possible." A Relationship With First American Payment Systems Brings Idealpos, Australian ISV, to the U.S.
Apptizer (Palo Alto, CA) has received certification for its Advanced Kiosk solution, as well as status as an Integrated Payments Partner, from Worldpay (Cincinnati, OH). 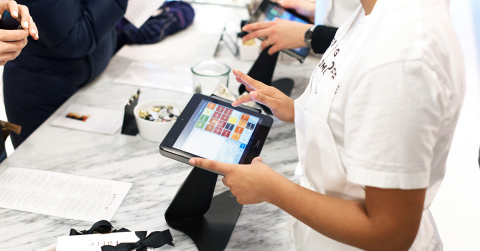 A rising developer of self-service ordering applications for quick-service and fast-casual restaurants--whether mobile, front counter, or tableside--Apptizer supports Apple iPads (running iOS 9 and above) and 7" Android Tablets (running Version 4.4 and above). It also engages with customer-facing POS such as Clover (Sunnyvale, CA), Poynt (Palo Alto, CA), Verifone Carbon (San Jose, CA), and Elo (Milpitas, CA). 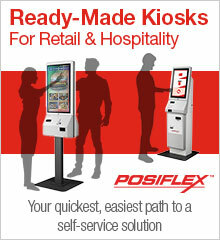 In the store, Apptizer Advanced Kiosk automatically syncs data in real-time among kitchen displays, public announcement systems, and POS. With integrated payment processing, by Worldpay, friction between front and back of house communications is further reduced, according to the two parties, resulting in smoother operations, quicker service times, fewer errors, and an overall better customer experience. Established in 2016, Apptizer is led by CEO Dinesh Saparamadu, and Bill Vasquez serves as Director of Channel Sales. An unveiling of its Version 2019 by restaurant ISV, RPOWER POS (Scottsdale, AZ). As major new features, it furnishes more friendly graphical user interface (GUI), real-time cloud-based reporting (RPORTAL), and Payment Card Industry Payment Application Data Security Standards (PCI PA-DSS Certification). An independent ISV, with choice of processor, for RPOWER. 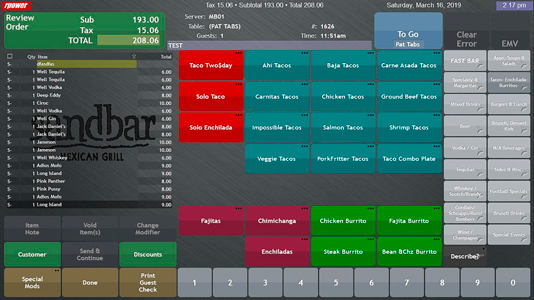 "It's our best-of-breed software, with a new look that users will find more intuitive, faster, and easier to learn, helping our restaurant managers operate more efficiently," enthused Jami Interdonato, President of RPOWER POS. 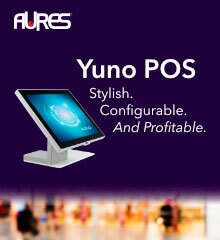 A leader in table-service, quick-service, and bar/nightclub, founded in 1994, RPOWER POS handles terminals from Aures (Tustin, CA), CRS, Inc. (St. Paul, MN), and Touch Dynamic (South Plainfield, NJ). It lists three dozen leading VARs on its website. Also touted for Version 2019: integration with third-party apps. In this new release, RPOWER POS adds Como Sense (for digital marketing), Sage Intacct (for accounting), and CTUIT (for restaurant business management). Soon to follow, RRN.Com was told: Doordash (for online order and delivery), Uber Eats (for online order and delivery), RSI (for retail business intelligence), and Clover Countertop Mode (for POS). 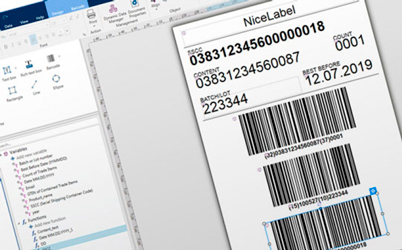 NiceLabel (Wauwatosa, WI), one of the leaders in label design software and label management systems, had launched its formal Global Partner Program. It furnishes marketing support, end-user leads, product discounts, pre-sales and technical support, co-branding opportunities, and so-called demo and trial licenses. It hopes to draw together new and existing partners, according to NiceLabel. "The labeling software market is maturing to the point where a partner program is essential to bring structure, set expectations, and provide incentives and rewards," elaborated Paul Vogt, Channel Marketing Director at NiceLabel. "We have an existing partner base stretching across the U.S., Europe, and APAC, and by formalizing this, we are delivering on our promise to help our partners increase their margins and become more consultative. The technical and marketing support available, as well as access to NiceLabel skills and resources, helps partners support their customers' digital transformation requirements and ultimately empowers users across industries." "This is a big time-saver for us," reported Stone Fire Pizza Company (Clearlake, CA). 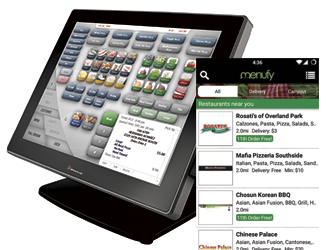 "Having Menufy send orders directly to our SpeedLine POS helps us keep everything in one system." Established in 2009, Menufy serves 5,000 restaurants in the U.S. It has desktop and mobile. 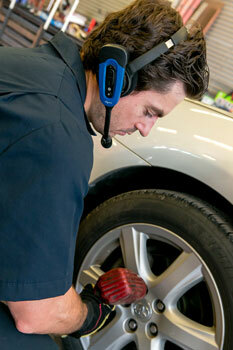 An online ordering website and app listing support SpeedLine. "SpeedLine customers aren't locked into one online ordering system," observed John DeWolde, President and CEO of SpeedLine Solutions. "Having options is important to many of our customers, and we are pleased that Menufy has integrated with our POS." In addition to Menufy, SpeedLine Solutions ties to online ordering by entities such as BRYGID, Chowly, Craver, Orders2.me, Real Time Ordering, and TakeOut Technologies. "We offer this perk cost free, with seamless integration," confirmed Sharmil Desai, CEO of Menufy. A match of technologies--the Voice Maintenance & Inspection Solution by Honeywell (Fort Mill, SC) in conjunction with the Emconex Enterprise Asset Management (EAM) by Enrich Software (Calgary, AB, Canada)--has been rolled out for major fleet management provider, Hogan Truck Leasing (St. Louis, MO). A popular business environment for vehicle maintenance, Emconex encompasses necessary elements such as rules engine, middleware, workflow mapping, change management, version control, and graphical user interface (GUI). It sits on top of existing systems and databases. "By bringing together Honeywell and Enrich to integrate their solutions, we can overhaul our preventative maintenance process," explained Greg Roberts, Director of Hogan Truck Leasing. "Now that the software integration is complete for the preventative maintenance process, we can consider ways to expand this development into more facets of our business to greatly enhance our customers' experience. We are evaluating voice-enabling of other key tasks, such a rental check-in/out, safety inspections, and pre-service inspections." A new survey shows mobile technology investment is a top priority for 36% of organizations and a growing priority for an additional 58%. -At present, only 20% of organizations have a majority of their field-based operations using enterprise mobile devices. It's estimated to reach 50% within five years. 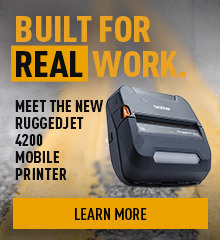 -In 2018 to 2023, handheld mobile computer usage with built-in barcode scanners is forecasted to grow by 45%, mobile printers by 53%, and rugged tablets by 54%. -Nearly 80% of respondents "usually" or "always" conduct a total cost of ownership analysis (TCO) of business devices before making their purchase. Only 32% of respondents believe that consumer smartphones have better TCO than rugged devices. -When investing in new front-line enterprise technology, considerations of TCO include the following factors: replacement, 47%; initial device, 44%; application development, 44%; and programming/IT, 40%. -Almost 40% of respondents say device management and support costs are important for TCO, as well as customer service (37%), device lifecycle cadence (36%), and repair costs (35%). -As disruptive technologies, these organizations identify droids/drones (33%), augmented/virtual reality (29%), sensors (28%), intelligent labels/RFID (28%), and automation of truck loading (28%). "Driven by the acceleration of e-commerce along with customers' heightened expectations and more focus within companies on differentiating service levels, the field operations industry is rapidly adapting the way it looks at its mobile technology investments," suggested Jim Hilton, Director of Vertical Marketing Strategy, Manufacturing, Transportation, and Logistics at Zebra Technologies. As we enter another year, our mission stays constant: to fill the need for timely, focused, non-biased news in the channel for POS & Auto ID. If anything, that need grows more pressing in the face of changes in technology, go-to-market strategies, and business models. We look forward to continuing that mission and welcome your suggestions and thoughts on improvements. Seiko Instruments USA, Thermal Printer Division (Torrance, CA), has engaged Matt Schmitz as its new Director of Sales and Business Development. 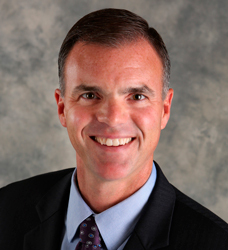 Schmitz joins the company from Xerox, where he served as VP of Global Business Development (2015 to 2018), with focus on Asia and the Managed Document Services of Fuji Xerox. Before Xerox, he was Senior Services Principal and Enterprise District Manager at HP (2002 to 2015), where he played an integral role in HP's entry into Managed Print Services (MPS). He will be based in Boulder, CO.
"I'm excited to be working with Seiko Instruments, and the entire thermal printer team, as we create, plan, and execute our transformational strategies for the coming year, and beyond," relayed Schmitz. "I'm looking forward to collaborating with my colleagues, leveraging our unique capabilities and experiences to accelerate our success, and building upon the solid foundation of the Seiko Instruments brand going forward." "Having Matt on our team is a welcome addition and brings new perspective to our talented roster of executives," stated Yoshi Murakami, GM of Seiko Instruments USA. "[It] will also bring forward a fresh outlook and perception of Seiko Instruments' thermal printer business, especially as we are currently experiencing exciting times when it comes to new products, partnerships, strategies, and development." Among his talents, Schmitz speaks fluent Japanese. Payment security developer Bluefin (Atlanta, GA) has enlisted Kelley Castell as its Chief Operating Officer (COO). 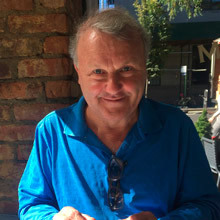 Prior to Bluefin, Castell served as COO of Oasis Outsourcing (2016 to 2019). Earlier, he spent 16 years with First Data Corporation (2001 to 2016), rising to the role of SVP of Client Service and Portfolio Management for First Data's Global Business Solutions. "I'm honored to join the great team of professionals at Bluefin," shared Castell. "The payment and security solutions we offer are leading edge in the industry and a big part of our growth. I look forward to helping Bluefin continue to exceed the expectations of our clients and partners while preparing for our mutual continued growth." 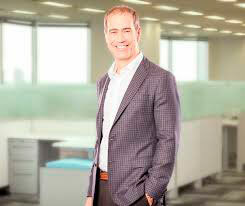 "We are very happy to have Kelley join Bluefin," contributed John Perry, Bluefin's CEO. "He brings a wealth of expertise in operations, technology, and business development." Also, Bluefin has welcomed Debbie Levine, who earlier served as SVP of Human Resources for Global Payments (2010 to 2015). Founded in 2007, Bluefin offers its PCI-Validated Point-to-Point Encryption (P2PE) to gateways, processors, and ISVs in POS. It currently has over 100 partners in 30 countries. Blackhawk Network (Pleasanton, CA), supplier of stored value products, promotions, and rewards, has named its first Chief Operating Officer (COO): Nick Samurkas. 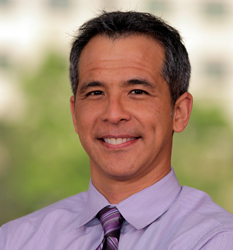 His background includes: COO of Moneris (2016 to 2019), President of Chase Paymentech Canada (2012 to 2015), and SVP and COO of Global Payments Asia Pacific (2005 to 2012). Blackhawk addresses resellers, and the SMB, with its Hawk Incentives Division. "We are delighted to welcome Nick to Blackhawk's senior leadership team," expressed Talbott Roche, President and CEO of Blackhawk Network. "The new Chief Operating Officer role supports our ongoing effort to enhance operations and delivery functions as we continue to grow our business both domestically and internationally. Nick's strong skillset in payments coupled with his extensive global experience make him the perfect choice to lead our operations group and drive our aggressive growth strategy."